Deepana Gandhi, an engineer at TeamIndus, recounts to us what participating in this lofty mission means to her. In March 2013, I came across an exciting article about a team of young Indians competing in a global space race to land a spacecraft on the Moon. It sounded unbelievable. TeamIndus (TI) was the only Indian entrant competing in the Google Lunar XPRIZE (GLXP). I followed them on Facebook, eager to know what they were up to. With each passing day, I grew more inspired by their work. At the time, I was pursuing a Masters in Control Systems Engineering. My fascination with space led me to do my thesis at the ISRO Satellite Center (ISAC). When I discovered that TeamIndus was looking for engineers, I was thrilled. I could imagine myself being a part of this audacious mission. And today, I am doing exactly that! At TeamIndus, I do what I love – develop Guidance Navigation and Control (GNC) algorithms for a space mission. The objective of the mission is to “soft land” a spacecraft on the Moon’s surface. To do that, the spacecraft’s velocity needs to be reduced to near zero in the descent mode. The descent manoeuvre is completely autonomous; there is no human intervention from the ground. Soft landing is something which only organisations from three countries in the world have accomplished – the USSR, USA and China. To realise this mission, we are building a spacecraft to land on the Moon and a rover to explore the lunar surface. The spacecraft comprises various elements – power, communications, structure, mechanics, GNC, flight software, etc. What’s amazing is the sheer number of things that must come together to execute the mission successfully. GNC, what I work on, is one of the critical subsystems for such missions as it orchestrates major parts of the spacecraft during mission-critical phases. It is responsible for executing the autonomous descent, which is arguably the most challenging part of the mission. The branch of engineering that our GNC team works on is called control systems. Control systems are ubiquitous – they exist in smartphones, elevators and even the human body! Every time your smartphone rotates the screen to a landscape mode or when you tilt the phone, you have a control system in the background to thank for it. The control system in a spacecraft obtains information of the immediate environment through onboard sensors and converts them to commands for the system to execute. GNC is responsible for controlling the various parameters of the spacecraft which aids in performing the orbit raising and lowering manoeuvres. Our team is responsible for developing all the algorithms needed for a successful touchdown on the lunar surface. A more detailed explanation can be found here. The animation below shows how our spacecraft maintains its Sun-pointing orientation (for power generation from solar panels) during the orbital phase. Commands from the ground, which tell the spacecraft where to point, are sent to the On-Board Computer, which then commands the thrusters to fire. The firings change the orientation of the spacecraft to point towards the Sun, with the sensors picking up this change. This kind of cycle is also what is followed for mission phases, in tandem with various other sensors where accurate pointing is required. Our team is responsible for working out the algorithms that make the spacecraft do what we want it to do and when we want it to. It took numerous iterations on the design and implementation of the GNC system before we had a mission-ready system. When I joined in 2014, one of my earliest tasks was to determine the GNC hardware configuration. Open-source materials like NASA Technical Report Service (NTRS), research papers and innumerable reviews were invaluable in enabling this design. Over a period of almost two years, we debated over various questions such as the number and type of sensors to carry, number of thrusters and their configuration. These decisions boiled down to a combination of factors such as cost, complexity, and time. The guidance of former ISRO experts like P. S.Nair, S.H. Hegde, P. Natarajan and others was critical. The interesting thing about putting together our spacecraft is the ripple-like nature of changes – i.e. changes in one mission aspect has a cascading effect in many, if not all, other subsystems. This meant that every design change was subject to multiple levels of scrutiny. By December 2015, we had arrived at a stable spacecraft configuration and started getting into finer details of the work. Lessons learnt from past mission failures such as the Schiaparelli Mars Lander (2016) and Mars Polar Lander (1999) constantly remind us to be cautious. All our designs were reviewed multiple times. During these reviews, we present and defend our ideas in front of some of the country’s pioneering spacecraft technologists. 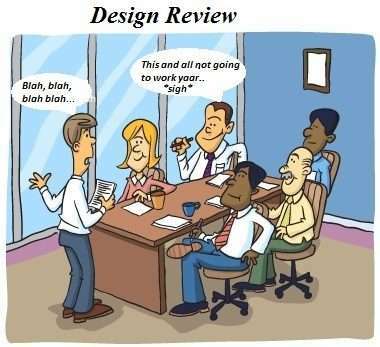 To me, the design reviews felt the same as my college viva-voce! It was a humbling and extremely rewarding experience to successfully convince such senior scientists. Reviews can also be a source of hilarious anecdotes. Here’s an example! Sometimes, it takes our team months to understand and solve certain problems. One such instance was in 2015 when the Xprize foundation organised the Milestone Prize to check the technical progress of the teams competing in GLXP. The reward for the team that wins was $1 million. TeamIndus won the prize for demonstrating the soft landing capability. The memories of days and nights spent preparing for the milestone prize demonstration are fresh in my mind. I was often surprised to find that my teammates had stayed up all night trying to analyse the intricate math. I often wonder what a privilege it is for the men in the team to be least concerned about their safety, while us females have to keep our safety in mind during our commute while working late. While we feel completely safe inside the TeamIndus campus (situated in Bangalore), it is the commute back home which can be bothersome. Most teams at TeamIndus are unusual in that the members are quite young. My team includes a bunch of nine young exuberant engineers, steadied by the guidance of the ISRO veteran P. Natarajan heading our team. This combination has helped us move fast and discard ideas that didn’t work, while persisting with those that showed promise. Our daily work involves wrestling with equations, running simulations, meetings with teams across the floor and reviews. Since an end-to-end flight test of descent is impossible, we rely on our simulations. We run a large number of simulations to ensure that things go as per plan. The video below is a result of one such simulation of descent from an altitude of 100 meters. We often watch documentaries and read about the experiences of people behind past missions. One such video that always fills us with awe is “Seven minutes of terror”. We are huge fans of Miguel San Martin, Chief GNC Engineer, and Adam Steltzner, Phase Lead of the Mars Science Laboratory’s EDL (Entry Descent and Landing) team. Their stories of teamwork, discipline and attention-to-detail in designing the Mars Science Laboratory EDL inspires our team. Steltzner has summarised it in the book ‘The Right Kind of Crazy’. I also look up to people like Vandi Verma, Mobility and Robotics Systems, JPL, who was a part of the Mars Science Laboratory project. She has paved the path for people like me to dream big. But the most amazing thing is, we don’t have to rely only on books and videos for inspiration. We have an oasis of stories and anecdotes from the experienced ex-ISRO scientists who mentor us. The list of people I look for inspiration from, by coincidence, consists mainly of the opposite gender. However, seeing more women getting added to the list is exciting. In my own team, there are just two female members out of nine engineers! I never felt conscious of being a ‘woman’ in this industry until I spoke to the film director Orlando Von Einsiedel. He is a keen observer of global social issues and made me delve more into the issues faced by women. This led me to read books like ‘Lean In’, which talks about the challenges faced by women in work environments. Although things have not been as hard for me so far, I hear that things tend to change once we go up the ladder and confront the ‘glass ceiling’. Recent developments such as the announcement of V R Lathithambika’s appointment as the director of ISRO’s Human Spaceflight Program is uplifting. At TeamIndus, our mission is not just propelled by propellant and oxidizer, but also by human perseverance. Landing on the moon was never meant to be easy! Editor’s note: Though Google Lunar X competition ended in 2018 with no winners, TeamIndus has no intentions to abandon their mission to fly to the moon. Wonderful job Deepana, keep the thrill going in life and may you achieve the pinnacle. You have taken us through your journey and opened new worlds through your aptly articulated and conprehensive piece. Thank you for sharing new worlds with us 🙂 Keep rocking Deepana !! Awesome Deepana!!! Wishing you all the very best for all your future endeavours!!! All the best for all ur future space dreams .. Very very lucidly explained. Ur simplicity in personality is also seen in this article. Tremendous work but humbly written. Being a non tech guy I could understand pretty much everything, I am sure your article is a great inspiration to all. Keep guiding the younger generations to acheive even bigger dreams. The gender gap in workplaces are slowly narrowing down, by the time you are up the ladder am sure the gap would be no more. All the best for your Moon mission !